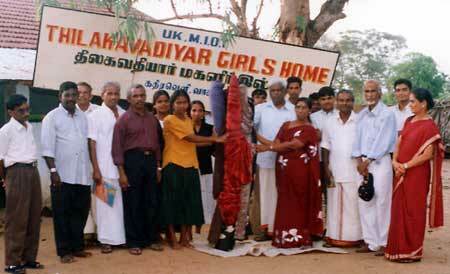 Thilagawathiyar Girl's Home, Kathiraveli, issues herewith its appeal seeking financial aid for a hostel building for the orphaned children with improved facilities including a study hall, kitchen, water tank, toilets, and furniture. 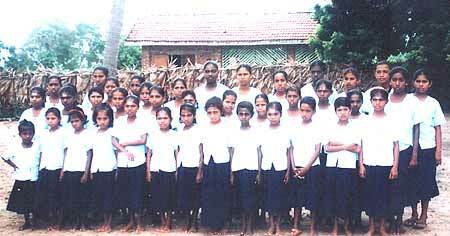 The main difficulty we face now is the absence of a hostel to provide shelter to 49 helpless girl orphans who are really the descendants of the indigenous Vedda families and the victims of the civil war that lasted over a period of 26 years which caused numerous problems, particularly to boys and girls in the North East Province. The loss of beloved parents, valuable assets, permanent injuries, displacement, separation from family members, prolonged refugee life, and numerous restrictions which have caused mental trauma, frustration, worries, tension, fear of life, insecurity and loss of credibility. As a result of combination of these factors, you could note that stress related diseases, disunity among communities are on the increase and these have led to a steady decline in the health of mind and bodies of the children. Regarding funds, though most of file children have been sponsored by file Medical Institute of Tamils, London and a few good hearted migrated Tamil families in foreign countries, their assistance is sufficient only to meet the daily maintenance of the children. We cannot do any saving out of this fund since we face immense difficulties to cope with the day to day increase of prices of almost all commodities in the market.